Orders placed before 13:00 shipped the same day. Shapes cutters There are 28 products. 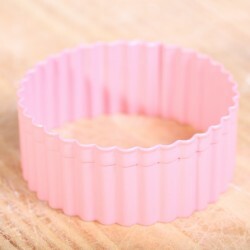 Cookie cutter 'Pink Round'. Made of stainless steel with non-stick coating.Diameter 6 cm. 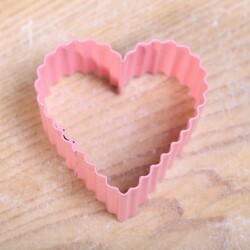 Cookie cutter 'Pink heart'. Made of stainless steel with pink non-stick coating.Length 6 cm. 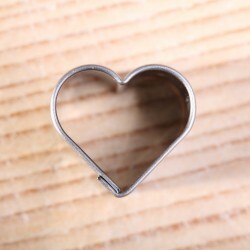 Cookie cutter 'Tiny Heart'. Made of high quality stainless steel. 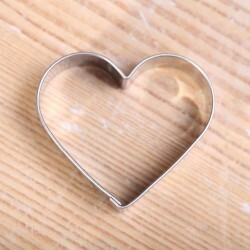 Cookie cutter 'Little Heart'. Made of high quality stainless steel. 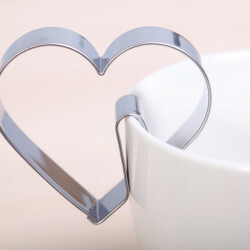 Cookie cutter 'Heart hang on cup'. 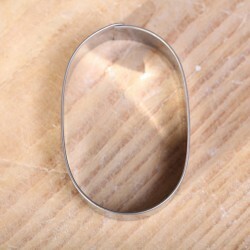 Made of high quality stainless steel.Measures 5 x 5.5 cm / 2 x 2.2 inches. 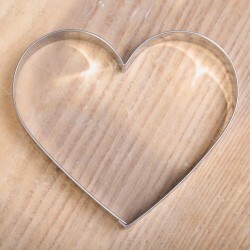 Cookie cutter 'Big Heart'. Made of high quality stainless steel. Cookie cutter 'Sweet Roll'. This cutter, made of high quality stainless steel, measures 6 cm. 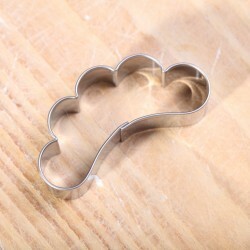 Cookie cutter 'Crescent Roll'. This cutter, made of high quality stainless steel, measures 5.5 cm. 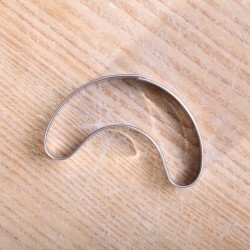 Cookie cutter 'S Shape'. This cutter, made of high quality stainless steel, measures 4.5 cm. 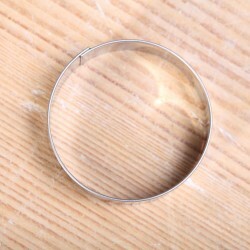 Cookie cutter 'Circle ' is made of high quality stainless steel.Ø 4.7 cm / 1.85 inch. 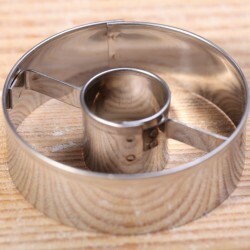 Cookie cutter 'Circle with hole' measures 4.7 cm / 1.85 inches. Made of stainless steel. Cookie cutter 'Egg'. This cutter, made of high quality stainless steel, measures 5 cm in length. 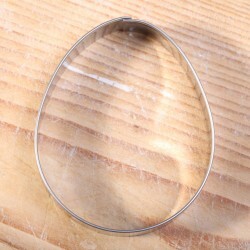 Cookie cutter 'Egg'. This cutter, made of high quality stainless steel, measures 7 cm in length. 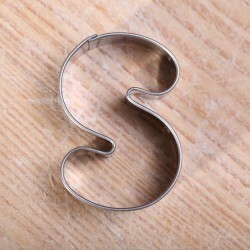 Cookie cutter 'Egg'. This cutter, made of high quality stainless steel, measures 9 cm in length. 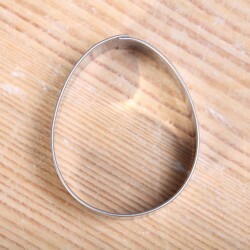 Cookie cutter 'Egg'. This cutter, made of high quality stainless steel, measures 11 cm in length. 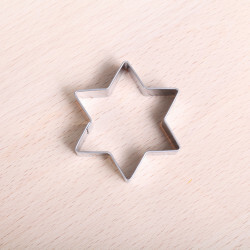 This 6-point little star cutter is made of high quality stainless steel and measures 5 cm / 2 inches, from point to point.Made of high quality stainless steel. 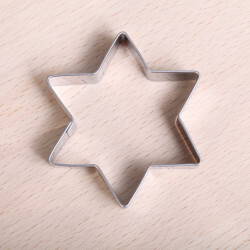 Cookie cutter 'Little Star with hole' measures 5 cm / 2 inches from point to point. Made of high quality stainless steel. 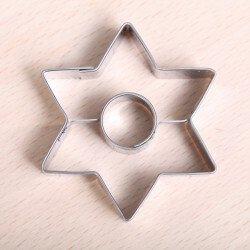 Cookie cutter 'Star' measures 6 cm / 2.4 inches, measured from point to point. Made of high quality stainless steel. 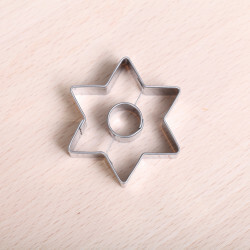 Cookie cutter 'Star with hole' measures 6 cm / 2.4 inches from point to point. Made of high quality stainless steel. 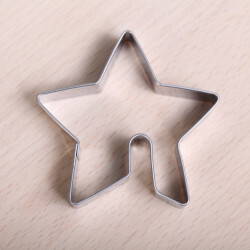 Cookie cutter 'Star hang on cup'. Made of high quality stainless steel.Measures 6 x 6 cm / 2.4 x 2.4 inches. 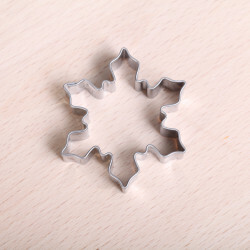 Festive cookie cutter 'Little snowflake'. This cutter, made of high quality stainless steel measures 5 cm / 2 inches. 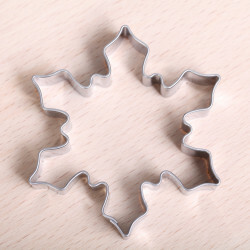 Festive cookie cutter 'Snowflake' made of high quality stainless steel. This cutter is 6.5 cm / 2.5 inch. 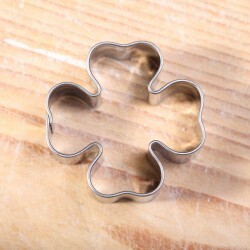 Cookie cutter 'Four-leaf clover'. This lucky clover, made of high quality stainless steel, measures 4 x 4 cm. Cookie cutter 'Shamrock'. 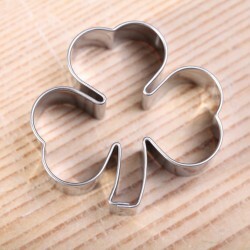 This Irish clover is made of high quality stainless steel. 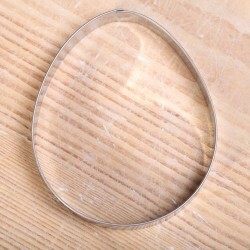 Cookie cutter 'Oval'. This cutter, made of high quality stainless steel, measures 6 x 4 cm / 2.4 x 1.6 inch. 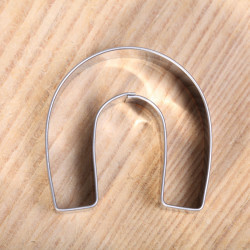 This horseshoe shaped cutter is made of high quality stainless steel.Dimensions 4.5 x 4 cm / 1.8 x 1.6 inch. 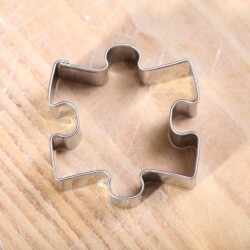 Cookie cutter 'Puzzle Piece'. This cutter, made of high quality stainless steel, measures 5 cm. 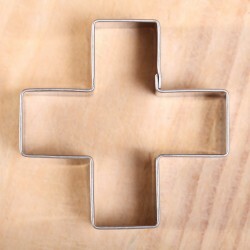 This cross shaped cutter is made of high quality stainless steel.